If you’re not ready to trust a computer-driven vehicle that has no steering wheel you’re not alone. 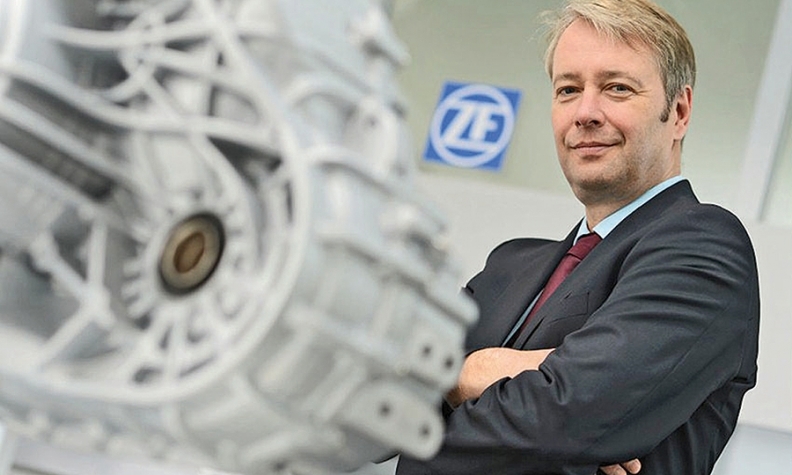 Stefan Sommer, CEO of self-driving technology maker ZF Friedrichshafen, is also reluctant -- in certain situations. “If you would ask me to drive in Paris traffic, passing the Place de la Concorde in a car without a steering wheel, I would feel rather uncomfortable,” Sommer told me at the GPU Technology Conference hosted by ZF partner Nvidia in Munich this week. Sommer said he would be fine in a car without a steering wheel on a public road in a geo-fenced area with moderate traffic, but asking that same vehicle to compete with aggressive and unpredictable human motorists in heavy traffic might be too much. “You may get stuck in this traffic,” he said. He added that his reluctance to give up the steering wheel is likely a generational issue. He believes that younger drivers will be much more likely to trust the technology, especially if they never operated a car with a steering wheel. Sommer also told me that he doesn’t expect Level 5 autonomous cars to be purchased by private buyers. He foresees them being part of taxi fleets to make sure that the driverless vehicles are in near constant use. For motorists, he sees them using the fast-improving autonomous features to handle the stressful or boring tasks that come with driving and taking the wheel when they conditions are right for driving. “We will still have a choice,” he said.